With just two wolves left on the island, natural recovery of the population is unlikely. The potential absence of wolves raises concerns about possible effects to Isle Royale’s current ecosystem, including effects to both the moose population and Isle Royale’s forest/vegetation communities. The issue is complex. 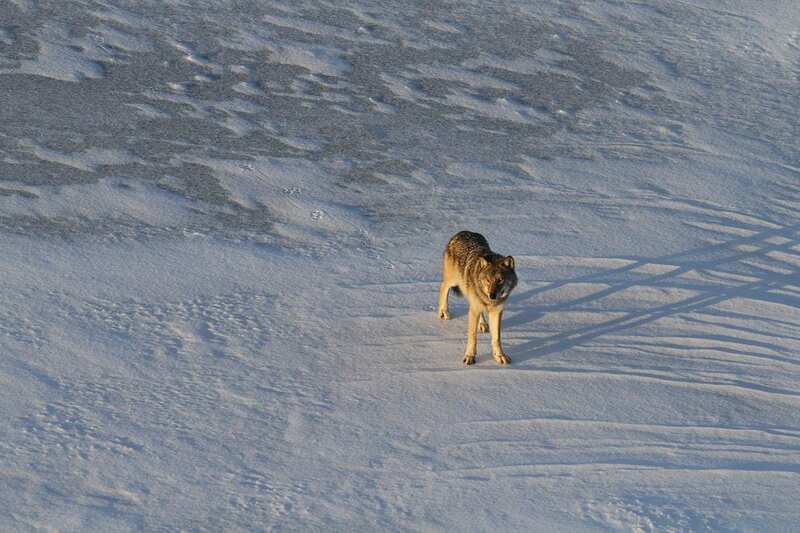 As part of the National Park Service (NPS) planning process, a team of eight experts completed a questionnaire (pdf) so that the NPS can assess approaches for determining how to bring wolves to Isle Royale National Park. There will be open houses and webinars regarding the draft Environmental Impact Statement (pdf) to Address the Presence of Wolves on Isle Royale. The public open houses will be held on February 14 and 15 2017 from 4 – 6 p.m. A short presentation will start at 4:30 followed by a question and answer period and open house. In order to maximize opportunities to learn more about the draft plan/EIS, webinars are scheduled for Thursday, February 16 from 4p.m. – 5:30 p.m. Eastern Time and Tuesday, February 21 from 7 p.m.-8:30 p.m. Eastern Time. For more information about the open houses and to register for the webinars, visit: parkplanning.nps.gov/isrowolves and click on the “Meetings” link. In addition to the open houses and webinars, you are invited to submit written comments at parkplanning.nps.gov/isrowolves. Comments may also be submitted through March 15, 2017 via regular mail or hand delivery at: Superintendent Phyllis Green, Isle Royale National Park, ISRO Wolves, 800 East Lakeshore Drive, Houghton, Michigan 49931-1896. Error: Error validating access token: Session has expired on Friday, 22-Mar-19 12:26:11 PDT. The current time is Sunday, 21-Apr-19 03:47:27 PDT.